Jae Sook completed her studies at New York College of Traditional Chinese Medicine (NYCTM) where she earned majors in Acupuncture and Herbal medicine. 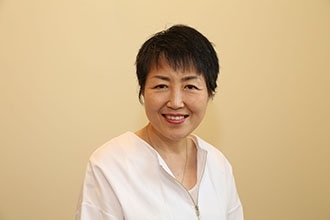 Jae Sook is also a Licensed Massage Therapist and has been teaching massage therapy for 10 years. She has developed advanced knowledge of patient assessment and diagnosis while specializing in Iridology. Her holistic approach has provided patients with great benefit and success in treating their conditions.